MN umbrella insurance Archives - DeKok Insurance Group, Inc. 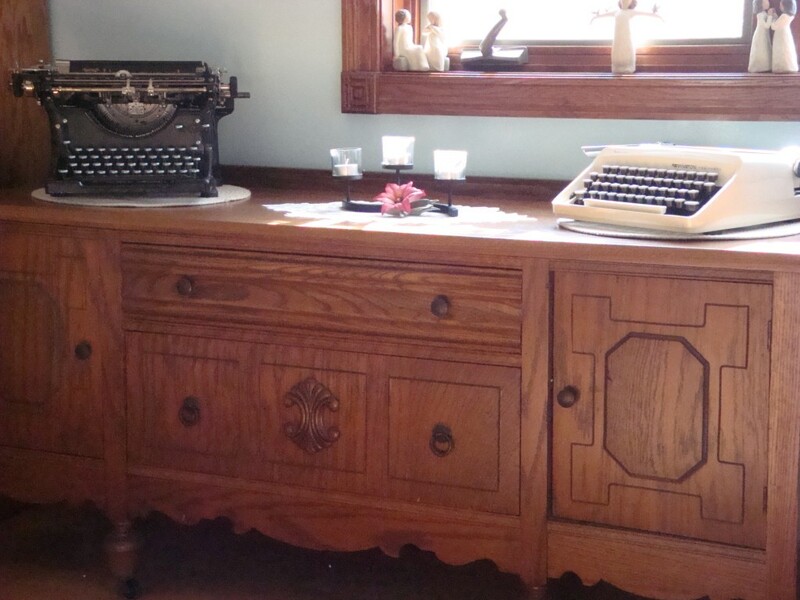 This buffet was my Mom’s and Joy’s dad gave her these typewriters – they are valuable to us. This photo would give us a place to start replacement if a catastrophic event happened at our home. Insurance can’t replace the emotional attachment we have to them, but we agree, it would be nice to physically replace them should a loss occur. Let’s try a little exercise: Can you list everything you own from memory? I can’t either. The fact is most people own more things than they realize. It’s easy to remember the cars, the computer, the TV. But what about that holiday china in the garage? Or every pair of shoes? Or at our house, Joy’s books. All of it is regarded as personal property for insurance purposes. And if your home is destroyed by fire or some other disaster, having a list of your possessions makes filing a claim easier — and helps you put your life back together – faster. Why should I complete a home inventory? What’s the best way? Comparing the value of your belongings to the “contents” limit listed in your policy helps you make sure you have enough insurance to replace them if they are lost, stolen or destroyed as a result of a covered loss. The easiest way to take an inventory is to use a video camera, recording and describing items as you walk through your house. Or, you can use a regular camera and create a home inventory checklist. Use video or photographs – if you use video, you can use your voice to describe the items as you go. Add brand names and descriptions where you can, especially on large-ticket items. Serial numbers are helpful to note. Keep any receipts you have with the list to make the claims process easier. Store your video or photo inventory offsite so you won’t lose it if your house is damaged. Update your personal property records when you purchase new furnishings and valuables. Though the task may seem daunting, it’s important to try. An incomplete inventory is better than nothing at all. Finally, remember your homeowners policy covers valuable items such as jewelry, furs, art and antiques, only up to set dollar amounts. If the cost of replacing them exceeds these limits, you may want to purchase scheduled personal property coverage. The Insurance Information Institute has a FREE online tool that can help you create your inventory. Just visit www.knowyourstuff.org for more details. I hope you’ll never need the home inventory, but preparing for the worst can prevent a lot of hassle later! By the way, I have a question for you: If I could save you a substantial amount of money on your home and auto insurance, would you be interested in a quote? If your answer is yes, call me at 507-226-8121 or email me at jondekok@dekokinsgroup.com and let me know. 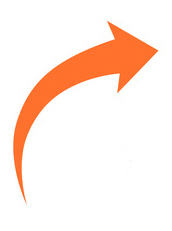 DeKok Insurance Group, Inc. Referral Program: When you tell your family and friends about your positive experience with my agency, and they call for a quote, I’ll send YOU a $20 gift card. Do You Have Commercial Umbrella Insurance? If umbrella policies are good for individuals, then they are imperative for business. When a catastrophic liability loss occurs, an umbrella insurance policy can mean the difference between a business surviving, or not. The rising costs of lawsuits and judgments are important for today’s business owner to consider. Catastrophic liability losses can happen to any business at any time, and a commercial umbrella policy protects you when those losses exceed your basic liability coverage. The time and effort you have taken to build your business is too important for it to disappear after one unforeseen event. Call me at 507-226-8121 or email me at dekokinsgroup@gmail.com today about a commercial umbrella insurance policy. 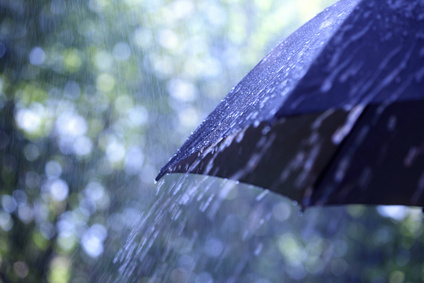 What do MN Business Owners need to know about commercial umbrella insurance? Commercial Umbrella helps you protect your assets by providing liability limits above and beyond your other policies. In some cases, it even broadens your protection. Due to the unpredictable nature of jury awards I recommend that your business insurance program include this coverage. What is Excess Liability Coverage? This coverage provides extra liability limits over an Umbrella policy. This coverage typically follows the terms of the first underlying insurance policy. Who needs Excess Liability Coverage? Higher limits may be necessary for businesses with high loss potential, high profile, sizable sales, numerous assets, large auto fleets, worldwide presence, significant public exposure. Get in touch with me today about your business operations and I can advise you what kind of liability coverage you need to protect yourself and your company. Again, my number is: 507-226-8121. I’ll help you make sure you’re covered correctly. Winter Storms Ahead: Are You Ready? It’s already been one of those winters here in Minnesota. We know it can be worse because it has been. In April 2013, broke all previous snowfall records and on May 2, 2013 – it snowed! Winter storms mean traffic snarls, hillsides turning to sheets of ice, and cars sliding around like hockey pucks. Cold temperatures can cause pipes to burst, frost swells and other damage. Heating your home with fireplaces and holiday lighting can increase the risk of fire. A picture-perfect winter requires a few precautions. . .
Winter-proof your car with good snow tires or chains, new wiper blades, antifreeze, and emergency road supplies. Keep your attic cool to help prevent ice dams. Insulate the attic floor and make sure it is well-ventilated. Do not overload circuits with holiday decorations. When winter storms hit, be smart. . . If you do not have to drive, stay put. 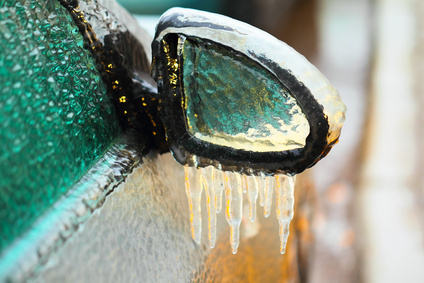 If you must drive, make sure you’ve winterized your car and have a full tank of gas. When the air is cold, keep bath and kitchen cabinet doors open so warm air can circulate around pipes. If pipes do freeze, let them thaw normally—they’ll be less likely to burst. And if the power is out, make sure you avoid leaving candles or fires burning unattended. If you use a portable generator, follow the instructions and do not use it indoors. Know what your insurance covers. . .
We want to help you rest easy. You will be more relaxed when you know you have prepared your property to lessen the chance of winter storm damage. Your insurance policy covers repair or rebuilding costs. However, your deductible does apply. Check your policy to see what is covered and to confirm the deductible you have chosen. If you have any questions at all about your coverage, call me at 507-226-8121 or email me at dekokinsgroup@gmail.com and I will help you review your options. Photo purchased from Fotolia and used with permission. If you live or vacation where the weather gets cold and the snow starts falling, some people are content to cozy up next to the fire, and concentrate on staying warm. This is what winter means to my wife Joy: if she has a book, her laptop, and a pot of coffee, she’s set for a quiet adventure with words. For some of our friends and clients, it’s time to get excited — because it’s time to break out the snowmobiles and head to the nearest winter recreation spot. It’s a popular activity, and for good reason: Snowmobiling allows you to explore natural areas that may be hard to access by foot (or snowshoe), and provides a different kind of excitement than skiing or hiking. Of course, snowmobiling presents some dangers as well. The following safety tips are from the American Council of Snowmobile Associations — and keep in mind that following these will not only help you stay safe, but also influence equitable treatment of snowmobile access by government, agencies and landowners. SPEED: Speed is a major factor in many snowmobile crashes. Always keep your speed slow enough to ensure that you’re in control. 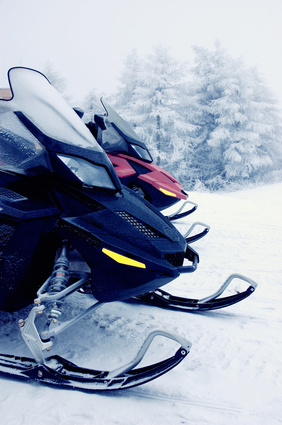 ALCOHOL: Use of alcohol or any other drug that causes impairment is a leading cause of snowmobile-related fatalities. It’s best to refrain from any use at all before and during outings because of potential effects on vision, reaction time, balance and coordination. When combined with excess speed in particular, the results can be deadly. AVALANCHE: More than 90 percent of the time, avalanches that involve people are triggered by the victims. Learn to follow avalanche safety procedures and always know the risks at all times. Click HERE for more information. RIDING AT NIGHT: Nighttime snowmobiling is fun, but extra caution should be used. Ride at slower speeds so as not to override your headlights (which generally illuminate your path for about 200 feet). Faster speeds could mean that you have little or no time to react to an obstacle in your path. ROADWAYS: Always keep an eye out for vehicles, as many trails are located alongside roadways and can cross over them. Be sure to stop fully at all stop signs and unmarked road crossings. CLOSED AREAS: Areas may be closed to snowmobiles due to hazardous conditions, wintering wildlife, non-motorized recreation or by landowner request. It’s important to honor these closures for safety purposes and to help protect access to other riding areas. While it’s extremely important to follow these tips for your personal safety, it’s also vital to encourage others to snowmobile safely as well. Helping to educate others will not only promote safety for all snowmobilers, but also protect the sport’s image as well. Whether you’re a new rider or have been on the trails for years, ask yourself if you could be riding more safely. There are many more winters to come, and we want you to be able to enjoy as many of them as possible. If you’d like to see what DeKok Insurance Group can do for you, request a quote today. If your insurance isn’t due for several months, email me your renewal date and the information above. I’ll call or email you around that time. DeKok Insurance Group, Inc. 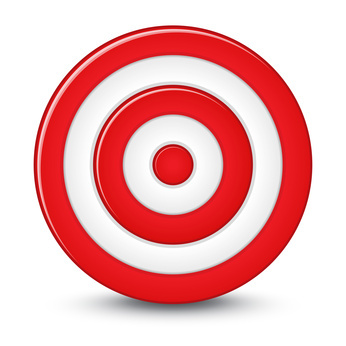 Referral Program: When you tell your family and friends about your positive experience with my agency, and they call for a quote, I’ll send YOU a $20 Target gift card. Graphic purchased from Fotolia and used with permission. At DeKok Insurance Group, one of the ways I serve my clients is by working directly with companies who deliver high-quality, affordable insurance options. A few of them are on the graphic above. I partnered with them because they are industry leaders, and because working with more than one company gives you options. It also helps you in another way: because I understand the insurance industry I know where to look for the personal and/or business insurance that fits your needs. Then, after finding the best coverage and prices from top of the line companies, I show you the quotes, and explain what they mean. This saves you time and energy. Call me today at 507-226-8121 to get free insurance quotes or to ask questions you have about insurance in MN.